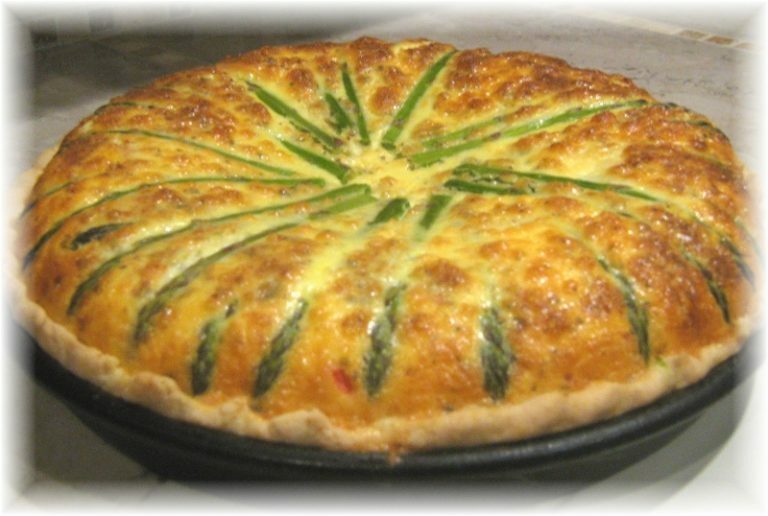 Bleu cheese, fennel and asparagus quiche: We love making a quiche because you can throw all sorts of ingredients at it. Take this bleu cheese, fennel and asparagus quiche, for example. When we were busy creating new specials and developing recipes at The Depot Cafe, Merritt Island, Florida, a quiche was always on our to-do list. One of the best things about a quiche is that if by any chance at all, the whole thing isn’t eaten, they freeze really well. 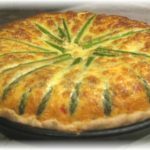 Economical, suitable for serving any time of the day and sure to have your family coming back for more: Bleu cheese, fennel and asparagus quiche. Preheat the oven to 365 F.
Line a 9 inch quiche or pie plate with the pastry and crimp the edges. Line the pastry case with foil and bake in the center of the oven for 8 minutes. Remove the foil and bake for a further 4 minutes or until lightly browned. Bring a medium saucepan with lightly salted water, to a boil. Add the fennel, onion and asparagus and blanch for just 3 minutes or until the asparagus turns bright green. In a mixing bowl, whisk the flour and milk until smooth. Add the eggs, basil and salt and whisk for 1 minutes on medium, to combine. Place the pie crust onto a sturdy baking tray and fill with the egg mix. Sprinkle with the mozzarella and bake in the center of the oven for 35 – 45 minutes or until set and browning. Remove from the oven and allow it to rest for 10 minutes before slicing. Alternatively, served chilled.